The Air Jordan 9 buzz was brought back with the Kilroy collection in 2012. 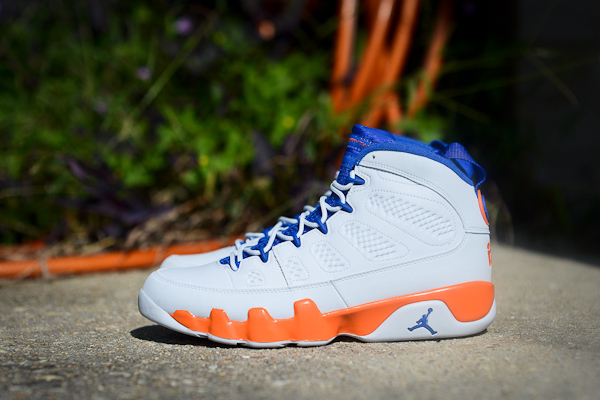 Releasing some new and dope colorways, one great release is the Air Jordan 9 Fontay Montana. The classic silhouette sports a white leather upper with a blue upper lining, and orange sole to finish it off. The sneaker is a great addition to the JB family.